It is critically important that Pennsylvania act on urgent footing to remove PFAS compounds from drinking water across Pennsylvania. The Governor is recognizing the threat these highly toxic compounds represent to the health of people and the environment, which is a vital first step. The Governor’s order for a sampling plan and water testing to begin in 2019 is essential and should provide needed data to discover where in the state PFAS occur so action can be taken and people can be informed but precisely where the sampling will occur is not identified. Utilizing a standard lower than EPA’s Health Advisory Level (HAL) of 70 ppt (parts per thousand) for PFOA and PFOS as a “interim notification level” is important because we know that PFOA and PFOS are dangerous to human health at vastly lower concentrations but it isn’t clear exactly what this Pennsylvania level will be and how it will be applied. Staffing the Department of Health with qualified personnel is also important but it is not clear why it has taken over a year to do so. 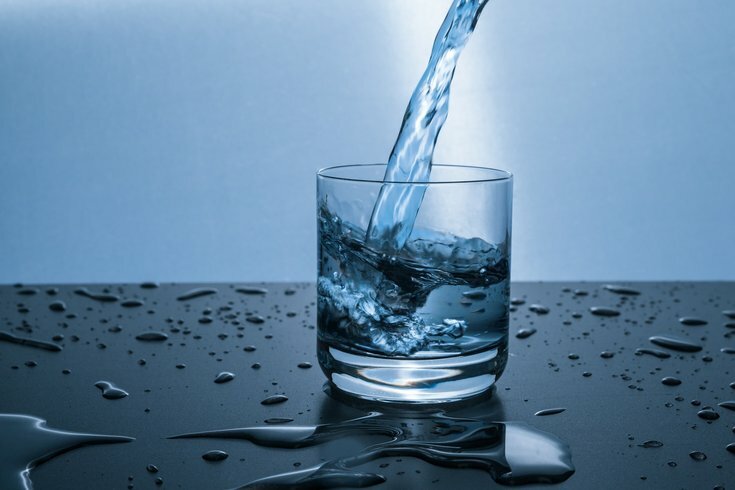 It is problematic that the Governor is not engaging the Pennsylvania Environmental Quality Board (EQB) to adopt safe drinking water standards for PFAS or maximum contaminant levels (MCL) as it is charged to do under Pennsylvania’s Safe Drinking Water Act. To instead set up a redundant bureaucratic committee called an “Action Team” is not only a huge oversight, it undermines the EQB and government processes already in place that should be acting to regulate and remove these toxic compounds from our water. The executive actions, including the Executive Order, have no defined goal that will assure the regulation of these compounds and do not provide assurance to the public that statewide MCLs will be established by the state. The Governor is sidelining the EQB, even though in April a spokesperson for the agency said they were working to build the capacity to develop MCLs in response to Delaware Riverkeeper Network’s petition for a MCL for PFOA; the petition was submitted by DRN in May 2017 and unanimously accepted by the EQB in August 2017. Why it has taken more than a year for the Governor to acknowledge the severity of the PFAS issue and why the EQB is being put aside is unexplained by the Governor. Another glaring oversight is the lack on the “Action Team” of any members representing the public or municipalities or water authorities who are currently addressing PFAS contamination of their water supplies. Why isn’t the Governor utilizing the people in the already identified impacted communities who are the most familiar and educated on the details? There is not even a guarantee that the “Action Team” meetings will be open to the public. There are many questions raised by the newly announced executive actions and a problematic lack of clarity or transparency in the Governors’ plan. What is the timeline for the Action Team’s activities? California’s standard for PFCs is mentioned as a “interim notification level”, presumably the same as the MCLs for PFOA and PFOS that are being adopted in New Jersey (14 ppt for PFOA and 13 ppt for PFOS) but the press release only states the level will be “similar” and it isn’t clear just who and how notifications will be carried out. It is stated that which water systems will be sampled will be based on “risk characteristics” but what are these risks and who can expect to be sampled first, and what communities will be left waiting in the dark? Will the extensive body of scientific research and findings developed by New Jersey scientists and other states be recognized as the jumpstart it is, already providing more than enough information to base a MCL for PFOS, PFOA and PFNA on right now? Why isn’t the Governor supporting the statutorily established EQB and the public process attached to it to do its essential work? There is no need to waste time setting up another committee; every day that goes by without a statewide safe drinking water standard for PFAS is another day that Pennsylvanians are being exposed to drinking water containing contaminants with known adverse health effects, risking terrible harm and disease, including cancer, for themselves and their families. And there’s no excuse to overlook the public process and public involvement that is in place when the EQB is driving the action, especially considering that the EQB is charged by law with an end goal of setting clean drinking water standards for contaminants. Without that goal, it is possible that the “Action Team” results in no action that requires these toxic compounds to be removed for Pennsylvania’s water and no action that will mandate the cleanup of the sources of the contamination. Pennsylvania needs a much bolder and purposeful action plan, acting on urgent footing, to address PFAS contamination through the EQB with a goal of setting protective MCLs. Many consider the discovery of PFAS in our water and the environment to be the worst, most widespread water contamination crisis in the nation today. Pennsylvania must immediately begin the process of setting a statewide safe drinking water standard for PFAS, not waste more time on a bureaucratic committee without any regulatory goals or guidance towards purposeful action. Maya K. van Rossum has served as the Delaware Riverkeeper and leader for the Delaware Riverkeeper Network since 1994. Tracy Carluccio is deputy director of the organization.